We’ve found great deals at 485 hotels! 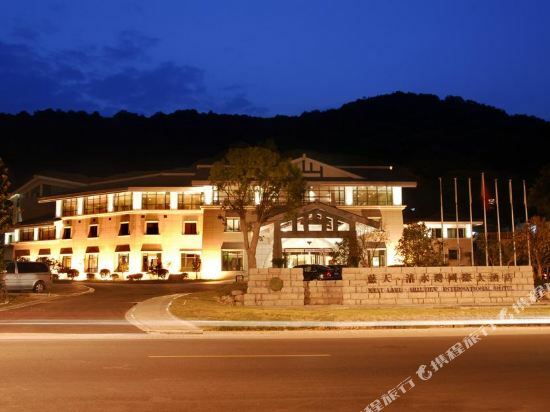 The West Lake Hillview International Hotel (Lantian Qingshuiwan Guoji Dajiudian) is located just a five-minute walk from West Lake, nestled between the Yuhuang and Jiuyao mountains. Business travelers can make full use of on-site conference rooms to organize events. For recreation, there are many fitness facilities for guests to take advantage of. 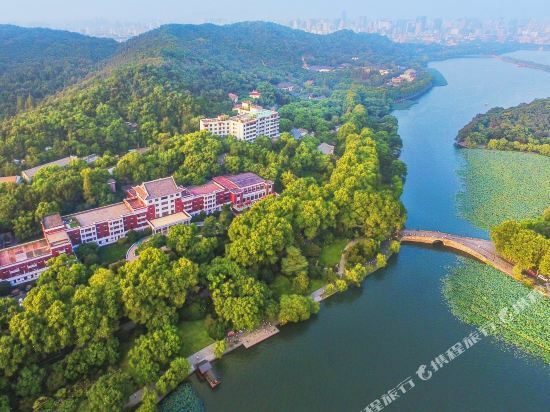 The Zhejiang Hotel (Zhejiang Binguan) is located at the center of the beautiful West Lake Scenic Area, in the vicinity of several popular tourist attractions such as Su Causeway (Su Di), Tiger Spring (Hupao Quan) and Yuefei's Temple (Yuewang Miao). This Hangzhou hotel has a total of more than 350 rooms with its types varying from superior rooms to suites. There are three Chinese restaurants and one Western restaurant. The Mingzhu Palace, located in the main building, can hold 700 diners. 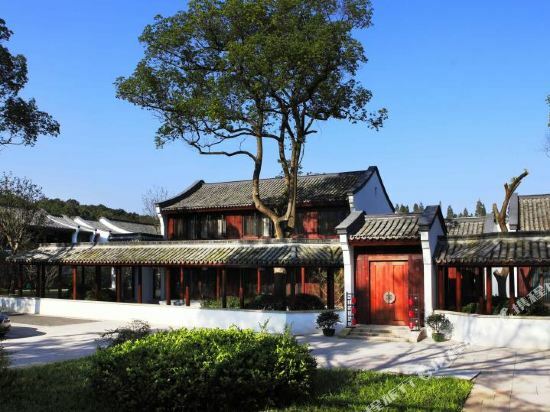 The Jinxiu Palace serves authentic Hangzhou dishes of local flavors. Besides, there are bar/lounge and coffee shop. Business travelers will find well-equipped conference halls and rooms of various sizes to take advantage of. There are 10 meeting rooms of different sizes with advanced facilities, able to meet various business-related requirements. Recreational options are somewhat limited, but there is an indoor swimming pool. 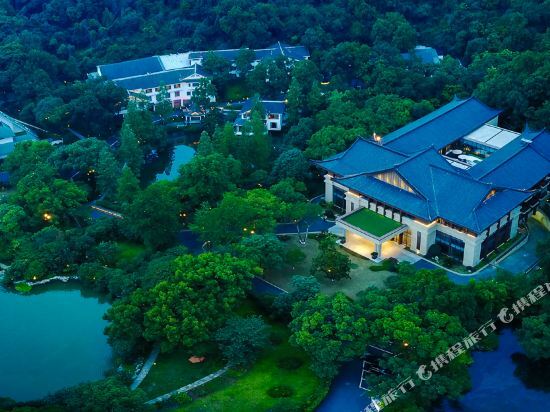 The Hangzhou Hua Jia Shan Resort (Hangzhou Huajia Shanzhuang) is a four-star resort hotel located 1 kilometer from West Lake. 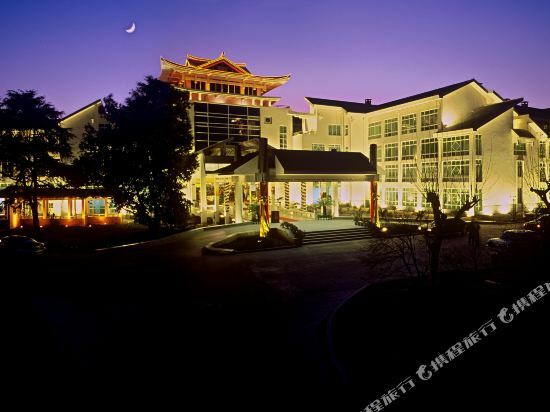 This Hangzhou hotel provides various rooms, all equipped with modern facilities. On-site Chinese restaurant specializes in local cuisine and other superior dishes. For business guests, they can make use of the multifunctional hall and various meeting rooms. For relaxation, there are KTV, games room and foot massage. 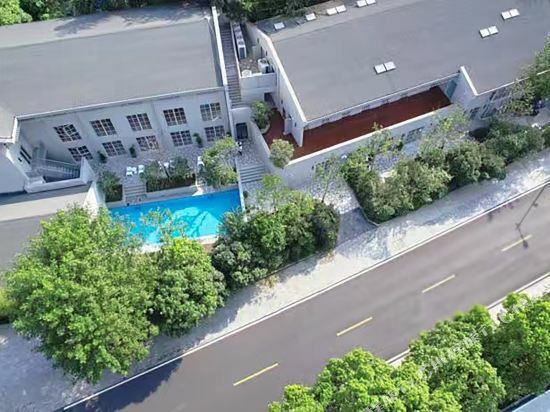 Located near beautiful West Lake, Hangzhou's The New Hotel (Hangzhou Xinxin Fandian) is about 7 kilometers from the railway station and 35 kilometers from the airport. This Hangzhou hotel is comprised of four European-style buildings housing guestrooms equipped with central air conditioning, TVs, mini-bars, refrigerators and international direct-dial telephones. At the hotel's restaurant, guests can enjoy delicious local cuisines and beautiful lake views. Others facilities include a bar, karaoke, disco and meeting rooms. Shangri-la Hotel, Hangzhou is located along the north shore of West Lake on Beishan Road, and it is located in the UNESCO World Heritage Site. The hotel occupies 40 acres of rolling hills and lush greenery. There are many famous West Lake scenic attractions that are within a short walk. The hotel is a 5 minutes drive from downtown, a I5 minutes drive to the railway station and 45 minutes to Hangzhou Xiaoshan International Airport. The ideal location makes it the finest place for business and leisure travelers. The hotel has 212 beautifully appointed guestrooms and suites located in the West Wing and villas. Horizon Club rooms are tastefully designed to complement the beautiful natural setting, and it dedicates to provide to all business and leisure guests with a comfortable enjoyment. From an intimate conversation to a large banquet, the restaurants at Shangri-La Hotel, Hangzhou present an array of dining options ideal for any occasion. Sample the dynamic international buffet at Coffee Garden, authentic Hangzhou cuisine complemented with a Cantonese selection at Shang Palace. Shangri-La Hotel, Hangzhou offers a wide range of facilities for conferences and social functions. 8 meeting and function rooms can cater for anything from intimate banquets to international gala events. The hotel offers a superbly equipped Fitness Centre including an elegant indoor swimming pool as well as a sauna, steam bath. Outdoor tennis courts are also available. 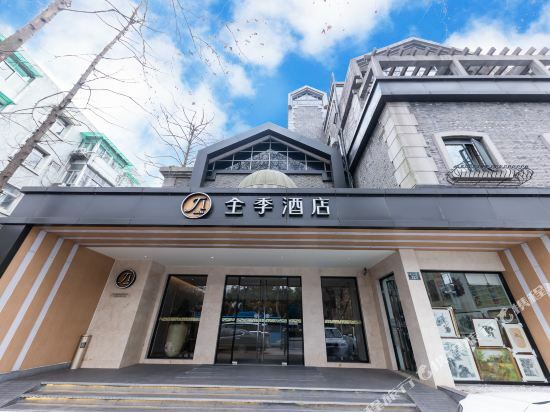 The West Lake Hillview International Hotel (Lantian Qingshuiwan Guoji Dajiudian) is located just a five-minute walk from West Lake, nestled between the Yuhuang and Jiuyao mountains. <br><br>The on-site restaurants serve both Chinese and Western dishes.<br> <br>Business travelers can make full use of on-site conference rooms to organize events.<br><br>For recreation, there are many fitness facilities for guests to take advantage of. 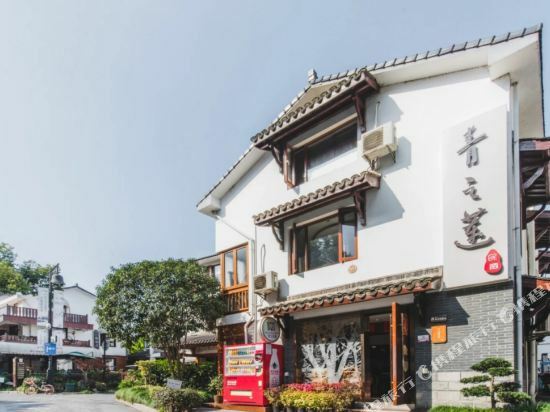 The&nbsp;Zhejiang&nbsp;Hotel&nbsp;(Zhejiang&nbsp;Binguan)&nbsp;is&nbsp;located&nbsp;at&nbsp;the&nbsp;center&nbsp;of&nbsp;the&nbsp;beautiful&nbsp;West&nbsp;Lake&nbsp;Scenic&nbsp;Area,&nbsp;in&nbsp;the&nbsp;vicinity&nbsp;of&nbsp;several&nbsp;popular&nbsp;tourist&nbsp;attractions&nbsp;such&nbsp;as&nbsp;Su&nbsp;Causeway&nbsp;(Su&nbsp;Di),&nbsp;Tiger&nbsp;Spring&nbsp;(Hupao&nbsp;Quan)&nbsp;and&nbsp;Yuefei's&nbsp;Temple&nbsp;(Yuewang&nbsp;Miao). <br> <br>This&nbsp;Hangzhou&nbsp;hotel&nbsp;has&nbsp;a&nbsp;total&nbsp;of&nbsp;more&nbsp;than&nbsp;350&nbsp;rooms&nbsp;with&nbsp;its&nbsp;types&nbsp;varying&nbsp;from&nbsp;superior&nbsp;rooms&nbsp;to&nbsp;suites.&nbsp; <br> <br>There&nbsp;are&nbsp;three&nbsp;Chinese&nbsp;restaurants&nbsp;and&nbsp;one&nbsp;Western&nbsp;restaurant.&nbsp;The&nbsp;Mingzhu&nbsp;Palace,&nbsp;located&nbsp;in&nbsp;the&nbsp;main&nbsp;building,&nbsp;can&nbsp;hold&nbsp;700&nbsp;diners.&nbsp;The&nbsp;Jinxiu&nbsp;Palace&nbsp;serves&nbsp;authentic&nbsp;Hangzhou&nbsp;dishes&nbsp;of&nbsp;local&nbsp;flavors.&nbsp;Besides,&nbsp;there&nbsp;are&nbsp;bar/lounge&nbsp;and&nbsp;coffee&nbsp;shop. <br> <br>Business&nbsp;travelers&nbsp;will&nbsp;find&nbsp;well-equipped&nbsp;conference&nbsp;halls&nbsp;and&nbsp;rooms&nbsp;of&nbsp;various&nbsp;sizes&nbsp;to&nbsp;take&nbsp;advantage&nbsp;of.&nbsp;There&nbsp;are&nbsp;10&nbsp;meeting&nbsp;rooms&nbsp;of&nbsp;different&nbsp;sizes&nbsp;with&nbsp;advanced&nbsp;facilities,&nbsp;able&nbsp;to&nbsp;meet&nbsp;various&nbsp;business-related&nbsp;requirements.&nbsp; <br> <br>Recreational&nbsp;options&nbsp;are&nbsp;somewhat&nbsp;limited,&nbsp;but&nbsp;there&nbsp;is&nbsp;an&nbsp;indoor&nbsp;swimming&nbsp;pool. 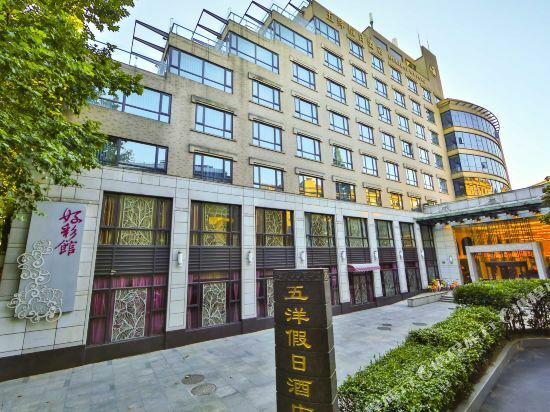 Located&nbsp;near&nbsp;beautiful&nbsp;West&nbsp;Lake,&nbsp;Hangzhou's&nbsp;The&nbsp;New&nbsp;Hotel&nbsp;(Hangzhou&nbsp;Xinxin&nbsp;Fandian)&nbsp;is&nbsp;about&nbsp;7&nbsp;kilometers&nbsp;from&nbsp;the&nbsp;railway&nbsp;station&nbsp;and&nbsp;35&nbsp;kilometers&nbsp;from&nbsp;the&nbsp;airport.&nbsp; <br> <br>This&nbsp;Hangzhou&nbsp;hotel&nbsp;is&nbsp;comprised&nbsp;of&nbsp;four&nbsp;European-style&nbsp;buildings&nbsp;housing&nbsp;guestrooms&nbsp;equipped&nbsp;with&nbsp;central&nbsp;air&nbsp;conditioning,&nbsp;TVs,&nbsp;mini-bars,&nbsp;refrigerators&nbsp;and&nbsp;international&nbsp;direct-dial&nbsp;telephones.&nbsp; <br> <br>At&nbsp;the&nbsp;hotel's&nbsp;restaurant,&nbsp;guests&nbsp;can&nbsp;enjoy&nbsp;delicious&nbsp;local&nbsp;cuisines&nbsp;and&nbsp;beautiful&nbsp;lake&nbsp;views.&nbsp; <br> <br>Others&nbsp;facilities&nbsp;include&nbsp;a&nbsp;bar,&nbsp;karaoke,&nbsp;disco&nbsp;and&nbsp;meeting&nbsp;rooms. 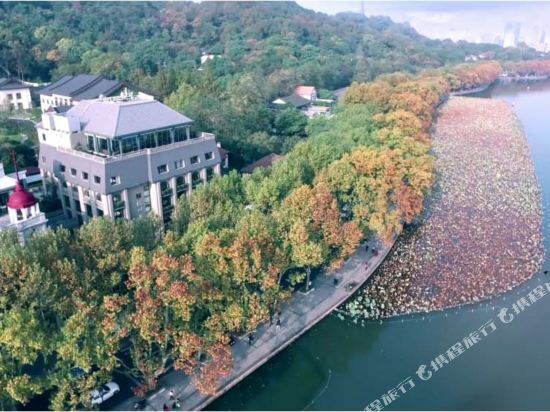 Located beside picturesque West Lake, the Zhejiang Xizi Hotel (Zhejiang Xizi Binguan) is close to several Hangzhou attractions like Su Causeway and Jingci Temple.<br><br>This Hangzhou hotel has a total of 207 rooms from standard rooms, with or without lake views, to executive, deluxe and executive-deluxe rooms. All of the rooms are outfitted with international direct-dial telephones and TVs as well as offering room service.<br><br>This hotel serves both Chinese and Western food. The highlight is the “Celebrity banquet,” created especially for the founding leader Chairman Mao Zedong and other state leaders.<br><br>The business center offers standard services including fax, international telephony, photocopying, typing and Internet access. 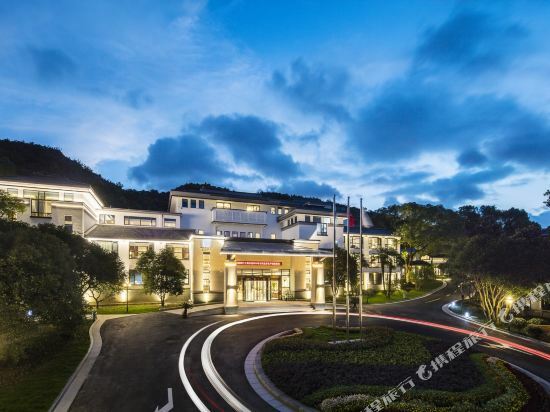 The hotel also hosts a conference hall and meeting rooms.<br><br>There are various leisure facilities in this Hangzhou hotel, including a pool/billiards room, bowling alley and other fitness facilities. Tired guests will find massage and sauna services available. 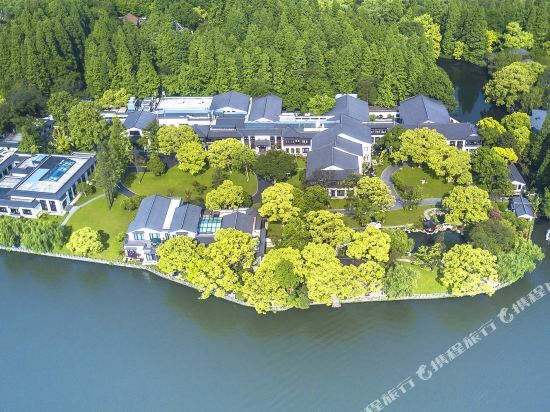 West Lake State Guesthouse in Hangzhou is the official designated hotel where the Chinese state leaders met and hosted state dinners with foreign heads of states during the G20 Hangzhou Summit and the BRICS Leaders Meeting. <br>The hotel is located at the heart of the West Lake Scenic Area and is therefore known as “the West Lake within the West Lake”. Nestled between the mountain and the lake, it covers an area of 360,000 m2 and a lake shoreline of over 2000 meters. 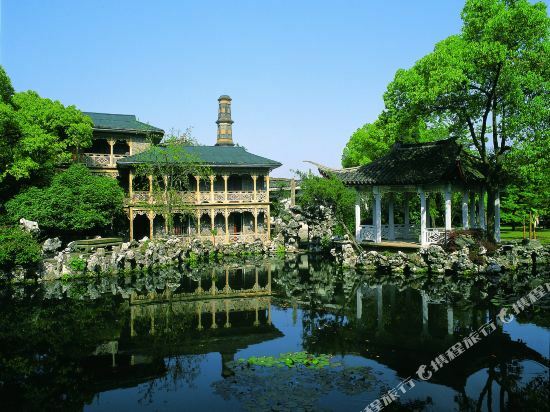 All the famous tourist attractions of Hangzhou are within 30 minutes’ drive of the hotel. Staying here, guests can enjoy a close-up view of “Spring Dawn at Su Causeway” and a distant view of “Leifeng Pagoda in Evening Glow”, or walk for a few minutes to “Huagang Fish Pond” or “Quyuan Lotus Garden”.<br>Chairman Mao Zedong drafted the first Constitution of the People’s Republic of China here. He stayed in the hotel for a grand total 27 times, giving this place special historic significance. Prominent foreign political figures and celebrities including former US President Richard Nixon and former South African President Nelson Mandela have both stayed here. The hotel has witnessed important historic events. For example, the octagonal pavilion here was where the China-US Joint Communiqué was initialed.<br>The hotel is elegant in style. Rooms are luxurious yet cozy with great views. The hotel is also known for hosting state dinners. For successive years Ziwei Hall has been ranked among the Top 50 Chinese Restaurants. There are sophisticated meeting facilities, yachts, concert hall, cinema, SPA as well as teahouses with distinctive local flavor. This is the perfect place to get a unique experience featuring a leisurely lifestyle at one of the world’s cultural heritage sites. Shangri-la Hotel, Hangzhou is located along the north shore of West Lake on Beishan Road, and it is located in the UNESCO World Heritage Site. The hotel occupies 40 acres of rolling hills and lush greenery. There are many famous West Lake scenic attractions that are within a short walk. The hotel is a 5 minutes drive from downtown, a I5 minutes drive to the railway station and 45 minutes to Hangzhou Xiaoshan International Airport. The ideal location makes it the finest place for business and leisure travelers.<br><br>The hotel has 212 beautifully appointed guestrooms and suites located in the West Wing and villas. Horizon Club rooms are tastefully designed to complement the beautiful natural setting, and it dedicates to provide to all business and leisure guests with a comfortable enjoyment.<br><br>From an intimate conversation to a large banquet, the restaurants at Shangri-La Hotel, Hangzhou present an array of dining options ideal for any occasion. Sample the dynamic international buffet at Coffee Garden, authentic Hangzhou cuisine complemented with a Cantonese selection at Shang Palace.<br><br>Shangri-La Hotel, Hangzhou offers a wide range of facilities for conferences and social functions. 8 meeting and function rooms can cater for anything from intimate banquets to international gala events.<br><br>The hotel offers a superbly equipped Fitness Centre including an elegant indoor swimming pool as well as a sauna, steam bath. Outdoor tennis courts are also available. The Hangzhou Hua Jia Shan Resort (Hangzhou Huajia Shanzhuang) is a four-star resort hotel located 1 kilometer from West Lake.<br><br>This Hangzhou hotel provides various rooms, all equipped with modern facilities.<br><br>On-site Chinese restaurant specializes in local cuisine and other superior dishes.<br><br>For business guests, they can make use of the multifunctional hall and various meeting rooms.<br><br>For relaxation, there are KTV, games room and foot massage. 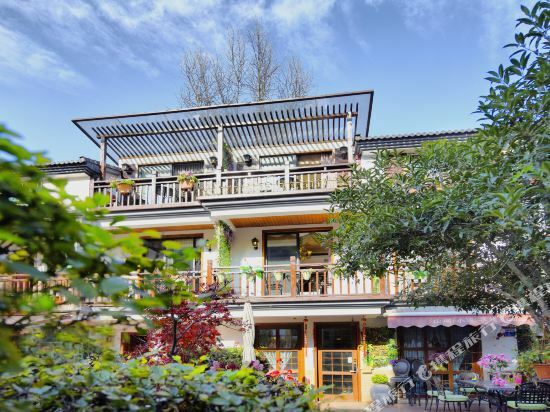 The Sunday Sunny Hotel (Santai Shanzhuang) is located near West Lake, Hangzhou's top attraction, and is also within easy reach Wulin Square, one of Hangzhou's most popular sights. Hangzhou Railway Station is a 25-minute drive from the hotel and the airport is an hour away by car. <br><br>The on-site restaurant serves Chinese cuisine. <br><br>Business travelers will find eight conference rooms to host meetings and events.<br><br>Recreational amenities include an indoor swimming pool, tennis courts and a massage parlor. 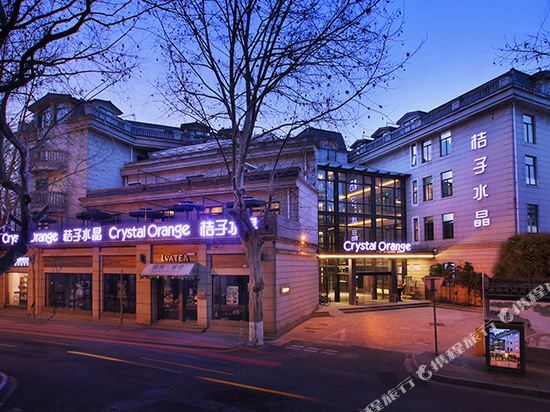 <br><br>This 4-star Hangzhou hotel also offers free parking and Wi-Fi access in public areas. The Jade Emperor Hotel (Yuhuang Shanzhuang) is located at the foot of Jade Emperor Hill south of West Lake (Xihu) and about 3 kilometers south of the city center. Reasonable rates, pleasant green surroundings and a quiet location recommend the Jade Emperor.<br><br>The hotel's banquet hall serves a range of Chinese food, including Hangzhou, Sichuan, Cantonese and Yangzhou cuisines. Western food is available, though it's not a particularly strong point. The&nbsp;Millennium&nbsp;Resort&nbsp;Hangzhou&nbsp;(Hangzhou&nbsp;Qianxi&nbsp;Dujia&nbsp;Jiudian)&nbsp;is&nbsp;a&nbsp;5-star&nbsp;hotel&nbsp;located&nbsp;in&nbsp;the&nbsp;tranquil&nbsp;Jiuxi&nbsp;(Nine&nbsp;Creek)&nbsp;scenic&nbsp;area&nbsp;and&nbsp;south&nbsp;of&nbsp;West&nbsp;Lake,&nbsp;Hangzhou's&nbsp;premier&nbsp;tourist&nbsp;attraction.&nbsp; <br> <br>This&nbsp;Hangzhou&nbsp;hotel&nbsp;has&nbsp;a&nbsp;parking&nbsp;lot&nbsp;for&nbsp;those&nbsp;traveling&nbsp;by&nbsp;car&nbsp;and&nbsp;Wi-Fi&nbsp;access&nbsp;is&nbsp;available&nbsp;in&nbsp;this&nbsp;hotel's&nbsp;public&nbsp;area. <br> <br>Dining&nbsp;facilities&nbsp;include&nbsp;an&nbsp;all-day&nbsp;dining&nbsp;restaurant&nbsp;serving&nbsp;Western&nbsp;buffets&nbsp;and&nbsp;a&nbsp;la&nbsp;carte,&nbsp;a&nbsp;Chinese&nbsp;restaurant&nbsp;with&nbsp;private&nbsp;dining&nbsp;rooms,&nbsp;and&nbsp;a&nbsp;lobby&nbsp;bar&nbsp;serving&nbsp;Longjing&nbsp;tea&nbsp;and&nbsp;other&nbsp;drinks.&nbsp;For&nbsp;event&nbsp;planners,&nbsp;this&nbsp;hotel&nbsp;offers&nbsp;4&nbsp;function&nbsp;rooms&nbsp;as&nbsp;well&nbsp;as&nbsp;a&nbsp;business&nbsp;center&nbsp; <br> <br>When&nbsp;you&nbsp;get&nbsp;some&nbsp;free&nbsp;time,&nbsp;head&nbsp;to&nbsp;the&nbsp;spa&nbsp;or&nbsp;take&nbsp;a&nbsp;walk&nbsp;along&nbsp;a&nbsp;tree-shaded&nbsp;path.&nbsp;In&nbsp;addition,&nbsp;guests&nbsp;may&nbsp;work&nbsp;out&nbsp;at&nbsp;the&nbsp;gym&nbsp;to&nbsp;burn&nbsp;off&nbsp;some&nbsp;calories. <br> <br>Besides,&nbsp;the&nbsp;Microcity&nbsp;(small&nbsp;electric&nbsp;car)&nbsp;rental&nbsp;service,&nbsp;bicycle&nbsp;rental&nbsp;service&nbsp;are&nbsp;also&nbsp;available,&nbsp;as&nbsp;well&nbsp;as&nbsp;the&nbsp;charging&nbsp;stations&nbsp;for&nbsp;electric&nbsp;car,&nbsp;which&nbsp;will&nbsp;enhance&nbsp;your&nbsp;green&nbsp;travel&nbsp;experience. 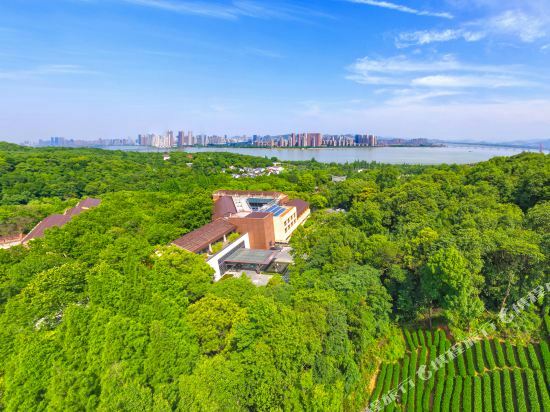 Located near West Lake and facing the popular scenic spot "Three Pools Mirroring the Moon" (Santan Yinyue) on the opposite side of the lake, the Hangzhou Liuying Hotel (Hangzhou Liuying Binguan) is also near another spot, "Orioles Singing in the Willows" (Liulang Wenying).<br><br>This Hangzhou hotel boasts a wide selection of rooms, all complete with up-to-date conveniences. With magnificent views of West Lake and the mountains, guests can enjoy the scenery in the garden of the hotel.<br><br>Dining options include both Chinese and Western dishes.<br><br>A fishing area and lakeside teahouse are provided for recreation and entertainment. 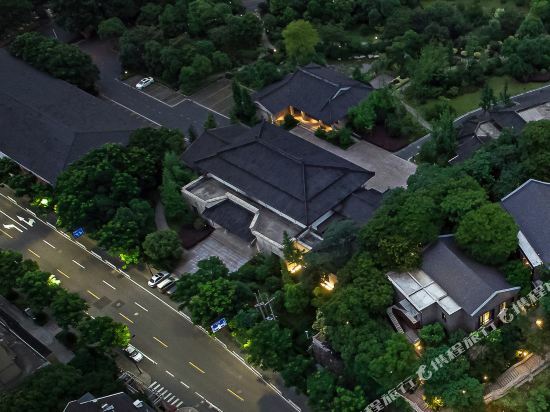 Traditional and distinguished, the Hangzhou Huagang HNA Resort (Hangzhou Huagang Haihang Dujia Jiudian) nestles in the Yang Gong Causeway scenic area, only a few minutes’ walk from several attractions of West Lake. From the hotel, guests can reach Hangzhou Railway Station and Xiaoshan International Airport in only 10 minutes and 40 minutes by taxi respectively. Rooms are tastefully decorated and equipped with satellite TVs, mini bars, international direct dial telephones, central air conditioning and smoke alarms. Hungry guests have a choice of the Chinese restaurant which serves Hangzhou cuisine in seven private dining rooms. Those looking for something different will find a Western restaurant on premises. Several wedding venues are provided for couples including romantic lawn weddings. For the executive facilities and services necessary in today's business world, over ten meeting rooms can be reserved to accommodate conferences of 15 to 300 people. Comprehensive telecommunications facilities and secretarial services are available. A multifunction center for conferences, exhibitions, banquets and lectures are also provided. The Huagang also provides various recreational services including health fitness center, sauna and massage center. 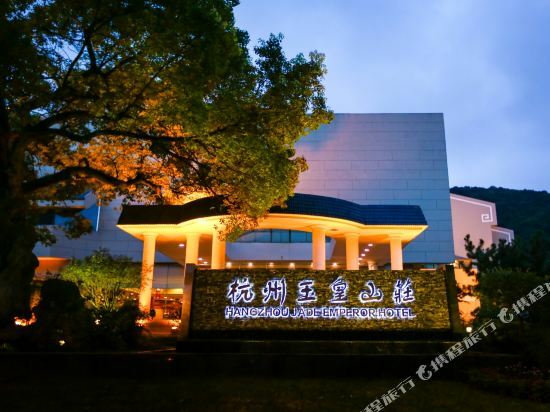 Hanghzou's Wuyang Holiday Hotel (Hangzhou Wuyang Jiari Jiudian) is conveniently located next to many of the city's renown tourist attractions including West Lake, Leifeng Silhouette (Leifeng Xizhao), Orioles Singing in the Willows (Liulang Wenying) and Long Bridge Park. 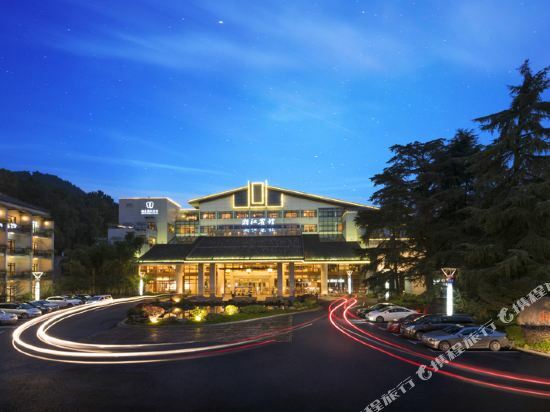 A mere 3 km from the Wulin commercial district, this Hangzhou hotel is a 30-minute drive from Xiaoshan International Airport and a five-minute drive from the Hangzhou Railway Station.<br><br>Guestrooms offer stunning views of West Lake and nearby mountains and are all equipped with free internet access and private safes.<br><br>The hotel also houses four conference rooms and a multi-functional room for guests traveling on business. Rú Yì Boutique Hotel at West Lake located in the southern side of West Lake, near the relics of the imperial city of Southern Song Dynasty. With only 28 rooms under a theme of Silk culture, the hotel is designed to incorporate a tea food warehouse, a Chinese sprit bar and a spa. Equipped and managed to international standards, it is also a showcase of local history and culture. The Jinxi Hotel (Jinxi Shanzuan) is a garden style hotel located near beautiful West Lake, only a few steps from Lotus Park. <br><br>This hotel consists of a selection of comfortable guestrooms and suites, all equipped with satellite TVs, air-conditioning, domestic and international telephones.<br><br>The hotel's Chinese and Western restaurant mainly provide Hangzhou specialties, Sichuan and Cantonese cuisine.<br><br>Business travelers will benefit from a business center that provides basic secretarial services and several conference halls with convention facilities.<br><br>For guests with leisure time on their hands, there is an outdoor swimming pool, tennis court, bowling alley and gym. If you want to stay in the best hotel in Hangzhou, China, please come to Trip.com for a custom trip. Staying in exclusive Hangzhou West Lake, Lingyin Temple Scenic Area hotel Trip.com offers, you can fully relax and enjoy the stay in Hangzhou and around Hangzhou. 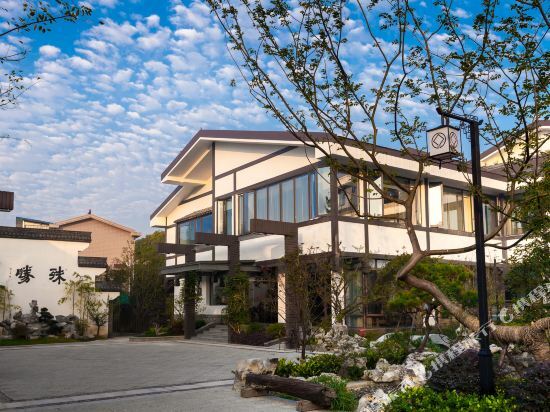 All these Hangzhou West Lake, Lingyin Temple Scenic Area hotels lead in the industry in aspects of environment and recreation facilities, providing the best hotel service in Hangzhou. 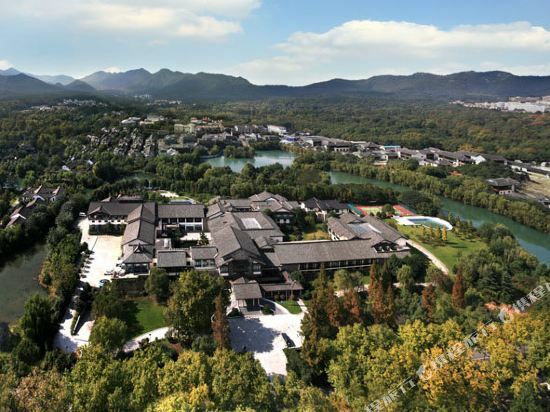 To ensure that you can find the latest West Lake, Lingyin Temple Scenic Area hotel in Hangzhou, the latest hotel price as well as hotel facilities and indoor facilities information will be offered. 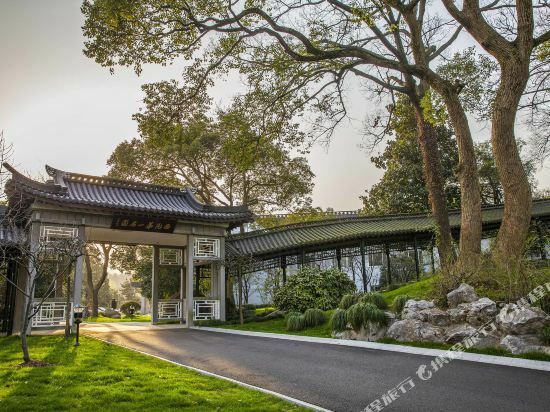 In the meantime, detailed photos of Hangzhou West Lake, Lingyin Temple Scenic Area hotel will be displayed, making you know quickly whether hotel’s interior environment meets your taste. Besides, you can know specific location and reviews on Hangzhou West Lake, Lingyin Temple Scenic Area hotel from millions of users. 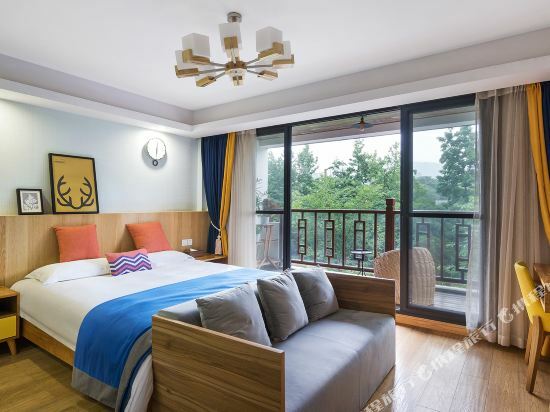 If you want a nice room with limited budget, please filter through price and distance to get an appropriate Hangzhou West Lake, Lingyin Temple Scenic Area hotel. 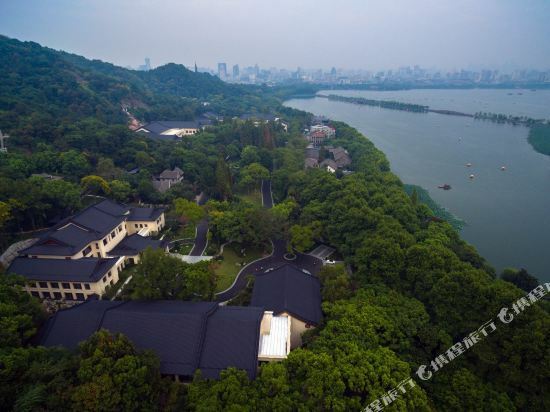 To ensure you can experience the best Hangzhou West Lake, Lingyin Temple Scenic Area hotel, users and we give a comprehensive rating on hotel, which gives useful help. Believe it or not, as the biggest online travel service company, we have the best service assurance and perfect users’ experience to meet your requirements in different aspects, no matter it’s Hangzhou hotel or Hangzhou West Lake, Lingyin Temple Scenic Area hotel.